Please note: gaff rig version’s mast measurements are taken by scaling from the plans. 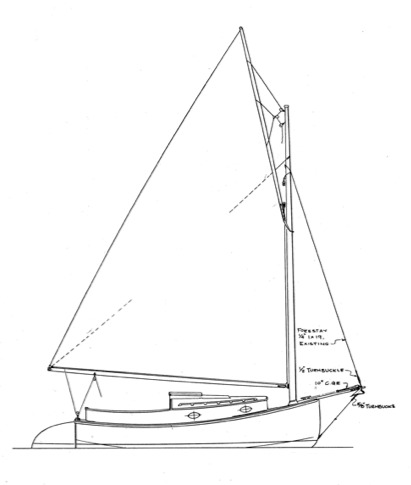 Notice the below deck drawing is a 3/4″ scale while the above deck drawing is 1/2″ scale. (cb up) - 1' 9" (cb down) - 4' 3"